Hospitals, health clinics, and other medical facilities must have the highest quality water available. Unfortunately, water coming out of the tap is not going to meet the standards of quality and purity necessary for use in medical centers. Many standard commercial filtration systems also do not achieve the level of purity necessary when water is used in a medical setting. Hospitals, doctors offices, health clinics and other care providers need to consult with a medical water filter company that can provide a custom-tailored solution to achieve the desired level of purity. Options for filtering water for a medical facility. The importance of choosing a high quality medical water filter company. Water in a medical facility is frequently used for sterilization purposes. Pure, clean water may also be a necessary component of laboratory testing, while filtered water may also be used for laundry and food preparation. Patients receiving medical care may be sensitive to particles in water and their health and recovery may be affected by impurities. Iron filters, for the removal of excess iron from water. Carbon filters, which remove nitrates, chlorine, sediment, lead, mercury, arsenic, and other harmful agents that can affect the fragile health of patients seeking medical treatments. Disinfectant systems designed to neutralize harmful bacteria found in water. Acid filters and soda ash feeders so the pH in water can be balanced and neutralized. Water conditioners for the removal of calcium and magnesium. Reverse osmosis systems, which purify water at the molecular level to achieve the cleanest and purest water possible. Many medical centers use a combination of different filtration options, or use different filtration options for different water sources in their clinic or healthcare setting. When you work with a professional medical water filter company, your medical facility can have a system that works to meet your specific needs. There is no room for error when water is being filtered for a medical center. Metro Water Filter of the South is a trusted provider of water filtration solutions that has been in the business for more than 40 years. Water filtration is our only business, and our sole focus is on ensuring customers have the cleanest possible water. Medical businesses trust us because of the high quality service and customized solutions we provide and because we stand behind the products we offer. 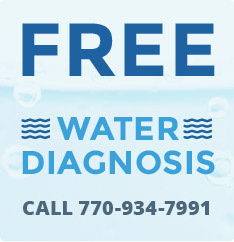 To learn more about how we can provide assistance to your medical center with achieving the water quality you need, give us a call today.